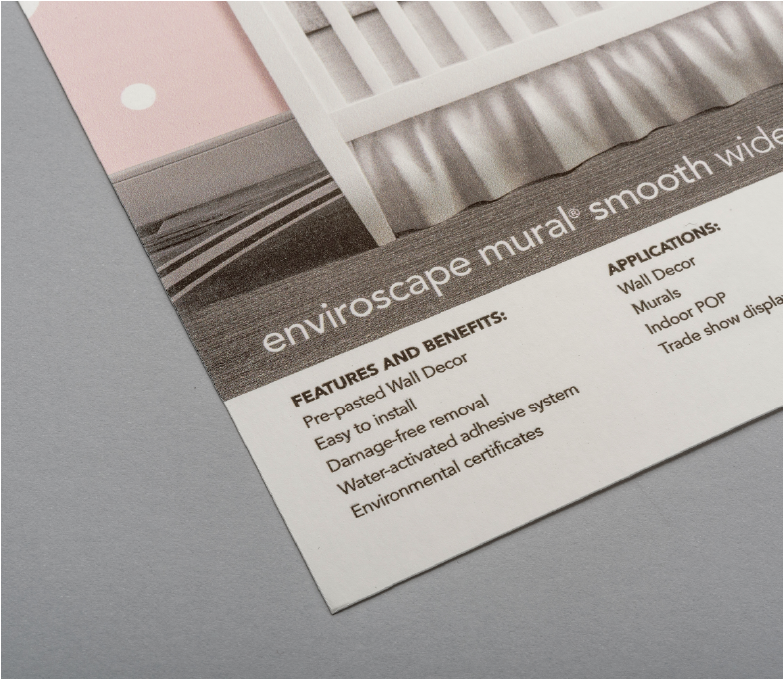 EnviroScape® Mural Smooth Matte 280g is a bright white cellulose based, latex saturated wallcovering print media with a smooth non-reflective finish. This product has a water activated adhesive system which makes it easy and clean to install. Strength, durability flexibility, and the ability to fold without image cracking are the key success factors for this environmentally friendly FSC® certified product. The shelf life of this media is 1 year under normal conditions (10°C – 35°C at a relative humidity 30% - 60%). Higher humidity and/or temperature can affect the product performance. Always store the media in a dark place in its original packaging.